Paul McCallum set to join Portsmouth News confirmed that forward Paul McCallum of West Ham is going to join League Two Portsmouth for the rest of the season. 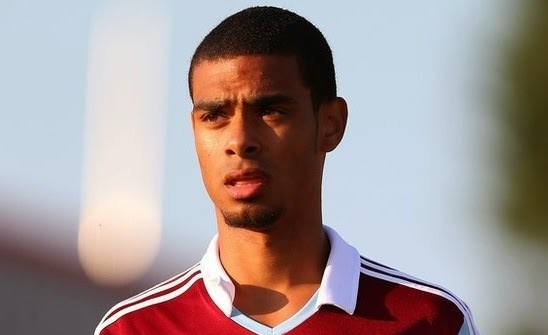 News confirmed that forward Paul McCallum of West Ham is going to join League Two Portsmouth for the rest of the season. According to the Daily mail, at that time Manchester United, Arsenal and Liverpool were also interested in him but he preferred Hammers. The 21-year-old striker went on loan to different clubs such as AFC Wibbledon, Aldershot, Torquay United and Hearts since he joined West Ham. But never impressed enough to break into the team at Upton Park. West Ham officially announced today that the centre forward McCallum is joining Portsmouth on loan. Matt Tubbs will accompany McCallum in the forward position at Portsmouth. Matt tubs recently joined Portsmouth on a deal which will last for two-and-a-half-year. Matt was the second top scorer and scored 12 goals before he was released by AFC Bournemouth after he spent the first half of the season on loan at Wimdledon. Portsmouth would be a great stage for McCallum to show his talent and skills and he might get his debut for West Ham when he returns from the loan period.